As athletes, we spend countless hours training for peak performance on race day. One of the keys to racing to our potential is mastering the taper. Tapering is a highly individualized art and science. It often takes trial and error to get to the line both fit and fresh. Too much rest and you may reach the starting line feeling sluggish and unfit. Too little rest and your body has in-adequately recovered. Thankfully, fatigue is reduced more quickly than fitness, and when tapered correctly, the body will be ready to perform. Over the last five years, I have raced twelve IRONMAN races and am continuing to refine the taper. In most of my Ironman races, I have taken the more traditional taper approach with an exponential reduction in volume. I have typically stuck to a three week taper consisting of 75 percent, 50 percent, 25 percent of my training volume in the final three weeks. Volume reduction enables healing of the muscles and tendons so that they can become stronger. Strength and adaptation to our training occurs during times of rest and recovery. Volume reduction is also important in order to lessen the overall stress of life demands. While my volume drops, my intensity increases, with adequate rest between intervals becoming a priority. An increase in intensity improves neuromuscular coordination, improves total blood volume, enhances muscle glycogen concentrations, and aids in race day sharpness. My coach, Elliot Bassett, and I agreed to test out a two week taper for my most recent IRONMAN Canada. I would still reduce my training volume, albeit over a shorter period of time. The goal was to feel sharp and not lethargic with an unresponsive body when I got to the starting line. My only concern was if my body would have proper time to heal from the training trauma. Three weeks out, I trained at 100 percent of my training volume. At 2.5 weeks out, I completed a 96 mile ride with 12,000 feet of climbing. The ride created much residual fatigue with a high TSS score. Two weeks out from the Ironman, I completed my longest run of 2.5 hours. Week two consisted of a 70 percent of my training volume. During that week, I focused on race pace sets along with aerobic workouts to keep my training frequency. The final week of taper consisted of 44 percent of my training volume. Since a bike crash left me unable to swim for 7 weeks during my IRONMAN build, my coach and I agreed to continue to increase my swim volume up until a couple days before the Ironman. Consequently, my longest swim fell on the Wednesday before race day. When taper officially started two weeks out, I felt terrible. My body was overly fatigued and quite sore. I was also not sleeping well. Race day kept creeping closer and my body was far from race ready. Instead of continuing to increase my stress by feeling anxious about how close I was to race day, I focused on what I could control. I could control a positive mental attitude, keeping my stress levels low, and fully trusting in my fitness and my coach. Then, magic began to happen about ten days out. My body began to respond to the reduction of volume and increase in intensity. I felt fit, sharp, and ready. Throughout the final days of taper my body felt great and enjoyed more rest. My extra time was spent mentally preparing for the IRONMAN. When race day arrived, I was well rested and my body was ready to perform. I was able to execute on each discipline, and ended up with the second fastest female run split (5 seconds from fastest.) 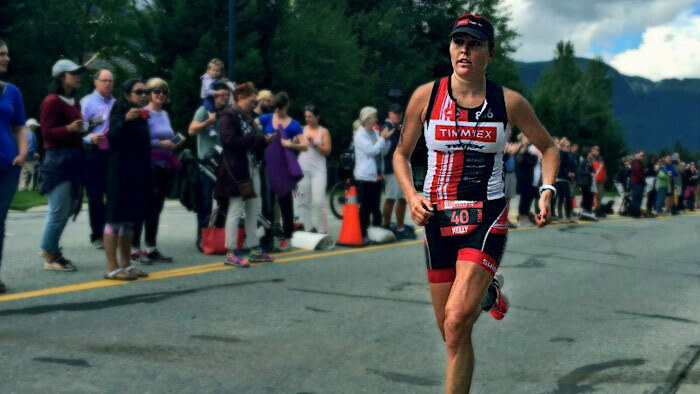 I remained strong throughout the duration of the Ironman which showed me that the taper worked. I took a risk by attempting a taper outside of the norm, not because I had a bad experience with my typical tapers, but because as athletes we should constantly look to refine our tapers and other elements of training. Sometimes it takes getting outside of our comfort zones to reach the pinnacle of success.